YouTube has gotten so big over the years that it is now viewed by more 18-49 year-olds than any cable network in the United States. But even though online video platforms continue to gain ground on traditional TV stations, there's one aspect to the viewing experience that live TV still does better—it lets you tune into a channel, then just sit back and watch indefinitely. 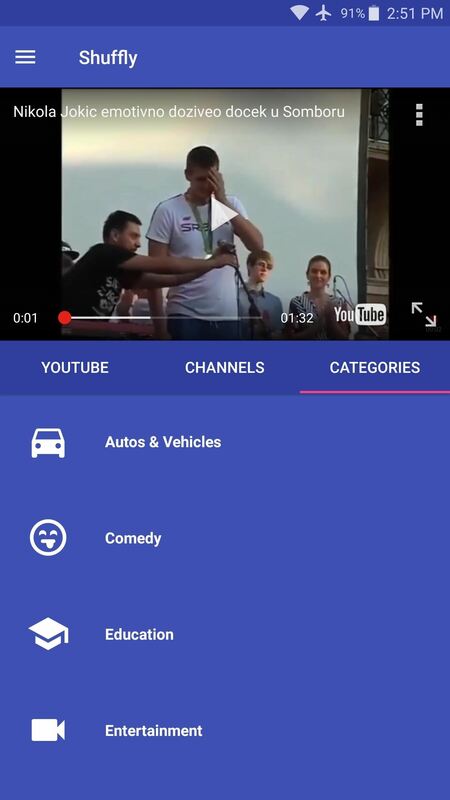 So for the couch potato in all of us, developer Pierfrancesco Soffritti created an app that transforms the YouTube viewing experience into a more traditional TV format. 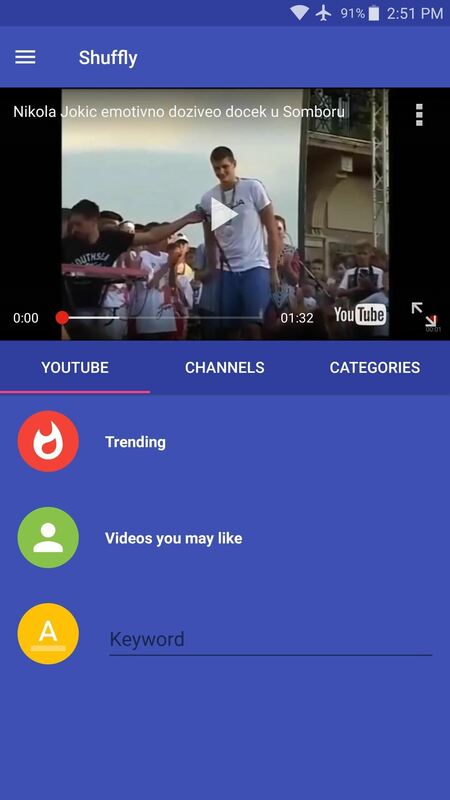 The app lets you pick a topic, channel, or even just trending videos, then shuffles all available YouTube videos in that category to create a virtually endless playlist. As a result, you can now sit back, relax, and enjoy YouTube as if it were an actual television provider. You can even effectively channel surf if that's how you tend to watch TV. 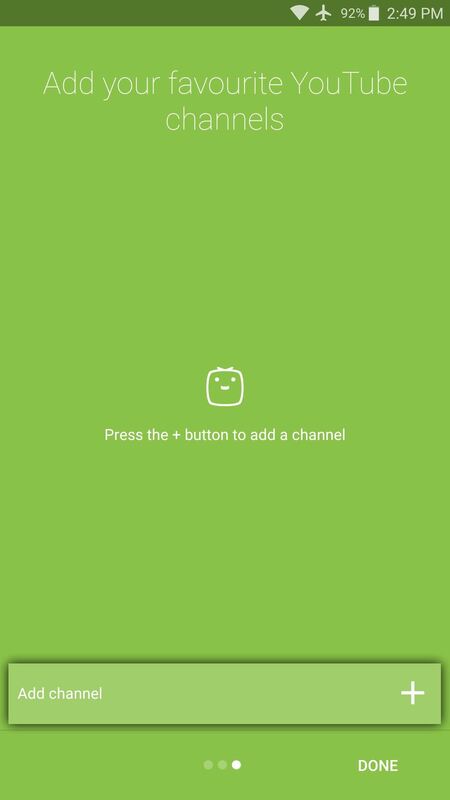 The app that turns YouTube into a streaming TV channel is called Shuffly for YouTube, and it's available for free on the Google Play Store. There is an in-app purchase of $3 available that removes ads, filters for keyboard selection, shuffles videos while in full-screen, etc. When you first launch Shuffly, you'll be greeted by a set-up guide. While you're flipping through this, it would be a good idea to tap the "Add Channel" button that appears at the bottom of the third screen. 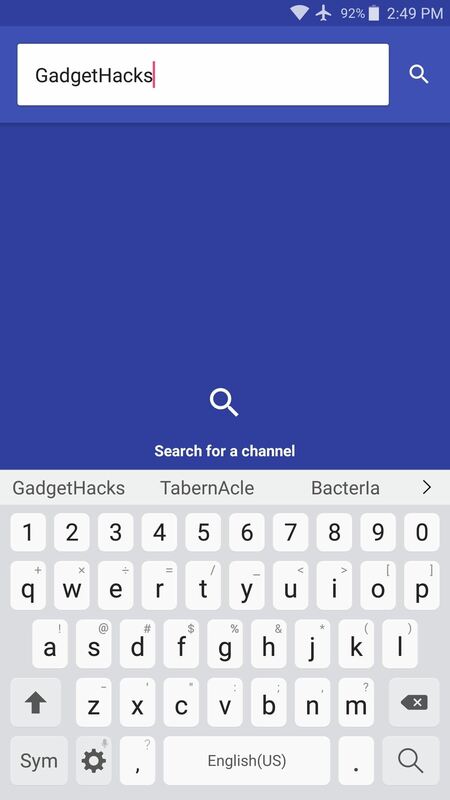 This lets you search for and add your favorite YouTube channels, which means you'll be able to shuffle all of their content to treat it like a TV channel. 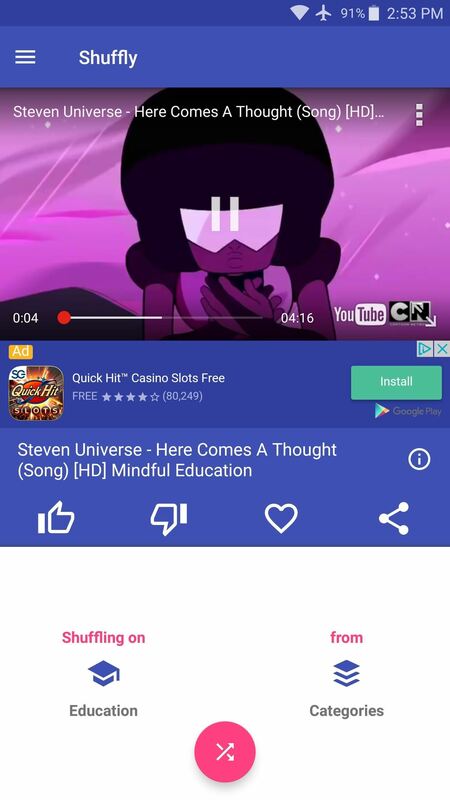 Once you make it to Shuffly's main menu, the YouTube videos will immediately start to play. If you'd like to change the "channel," so to speak, just swipe up from the white card at the bottom of the screen. This will display several different categories of videos that you can shuffle. Among these are the Trending section on YouTube's front page, the channels you added in Step 2, and several different categories of videos, so there's tons of content to enjoy. 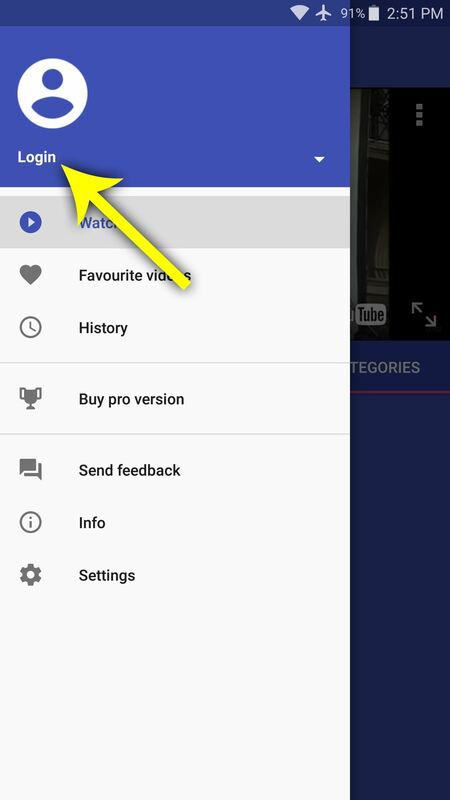 Then, if you open the side navigation menu, you can tap the "Login" button to sign in with your YouTube account. 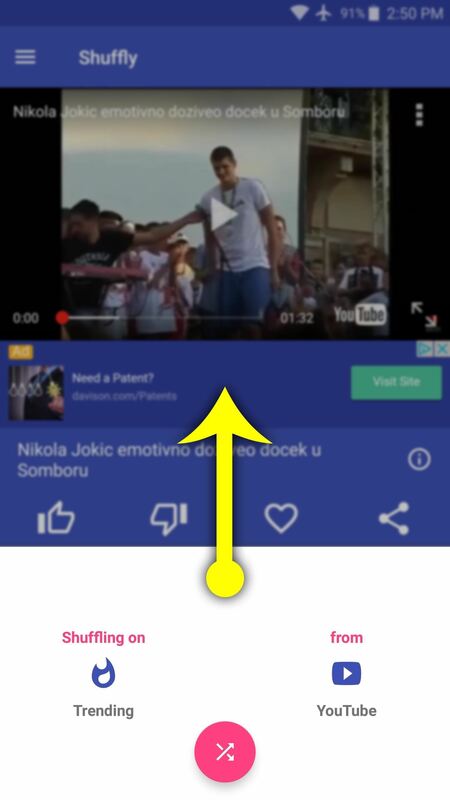 This will import your watch history and make the "Videos you may like" section a lot more personalized. Aside from that, you can always just tap the pink shuffle button at the bottom of the screen to play a different set of videos, so there's hours of fun here. If you're the channel-surfing type, you can just hit up the side menu and view your "History" to go back to something you like. The only thing that's missing right now is Chromecast support so you can get the real "TV" experience, but hopefully that'll be in a future update. For now, you can just cast your Android's screen itself.